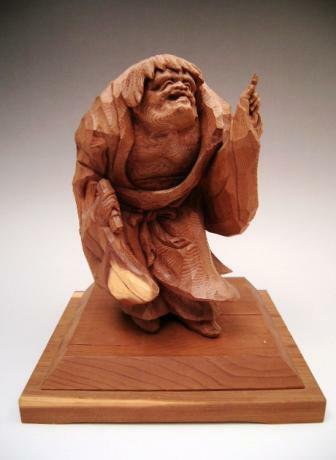 Japanese 20th century wooden carving OKIMONO of KANZAN, a hermit, carrying his signature rolled hand scroll in his right hand and pointing up with his left. Kanzan means "cold mountain" so he is sometimes called the recluse of cold mountain. He was a recluse in the Taoist tradition. 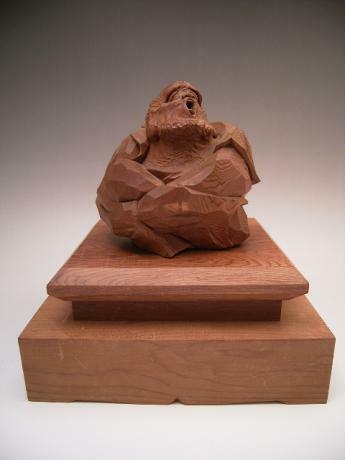 He is almos..
Japanese 20th century wooden carving OKIMONO of USOBUKI, in a seated position and yelling. USOBUKI is a character from Japanese KYOGEN theatre. He is the character that is always "bluffing" or lying. 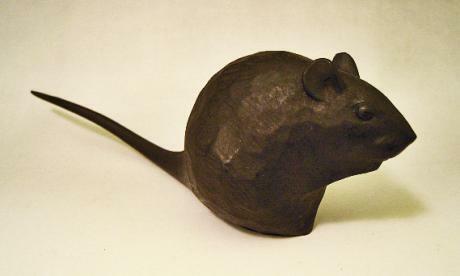 The OKIMONO measures 8" tall, 7 3/8" wide and 6" deep. 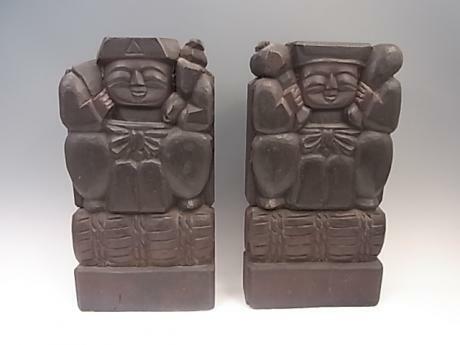 Japanese early 20th century wooden carvings of EBISU and DAIKOKU. EBISU measures 6 3/4" wide, 12 9/16" tall and 2 1/8" deep. DAIKOKU measures 6 3/4", 12 1/2" tall and 2 1/4" deep. Japanese natural root imaginative figure of DARUMA. Symbol of strength. Calligraphy of Daruma philosophy is carved into one side of the figure. 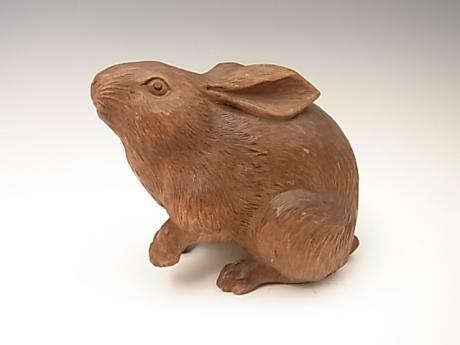 This carving was done by SUIJU in the year of the rat, in Showa 11, or 1936. 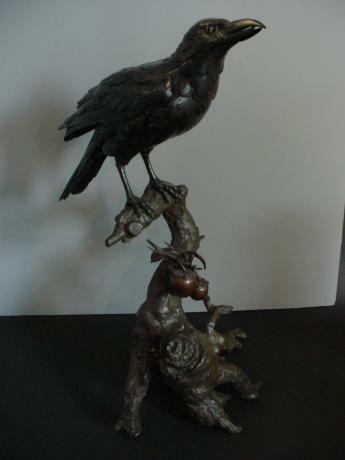 Inscribed on bottom in red lacquer, JUBOKU, perhaps original collector. 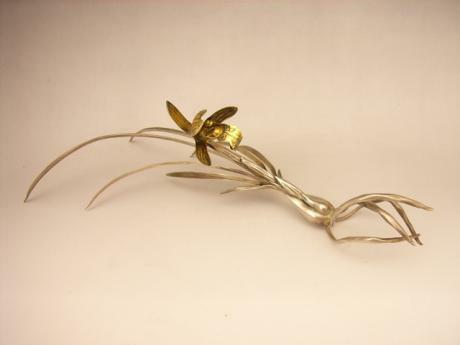 In..
Japanese early 20th century silver cymbidium orchid OKIMONO. The OKIMONO is done in beautiful detail and realism. Signed Soko. 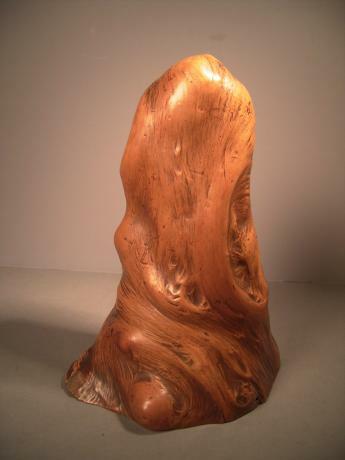 The OKIMONO is titled "Orchid". 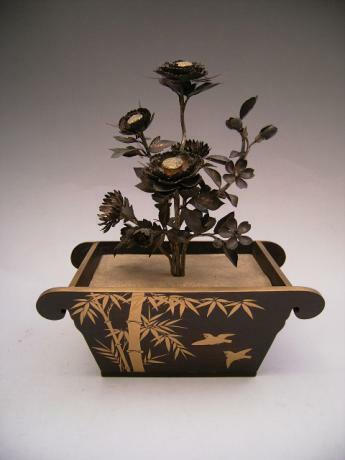 Comes with TOMOBAKO, original wooden storage, artist signed box. 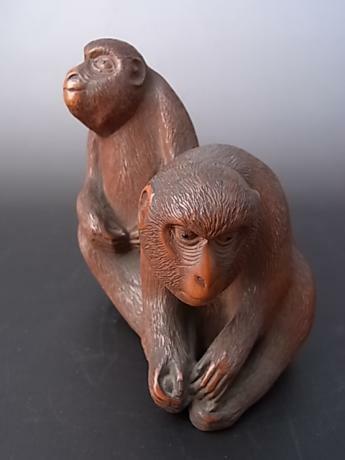 The OKIMONO measures approximately 11 1/2" long, 4" wide and 4" tall. (no..